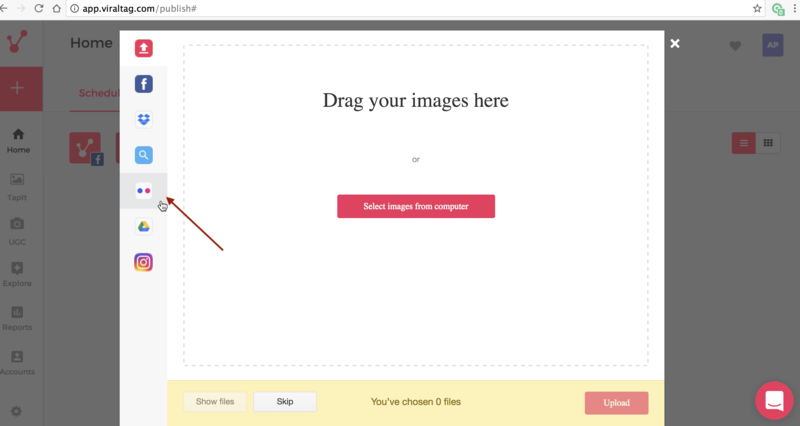 You can choose to upload images directly from your Flickr account. 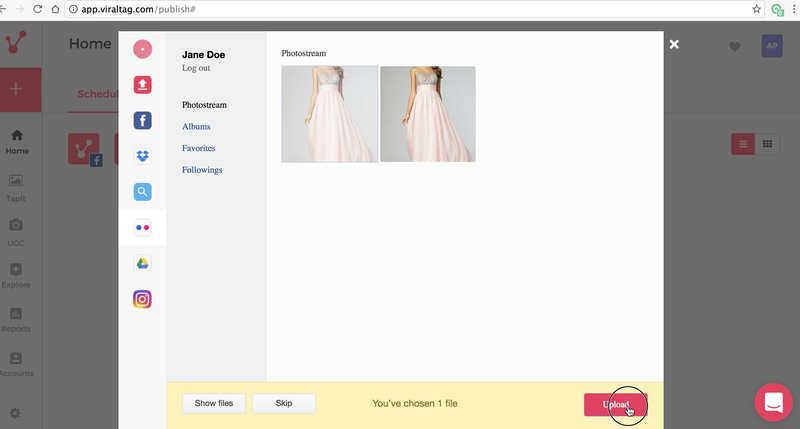 You can view the video demo or refer to the detailed steps below to upload from Flickr. 2. 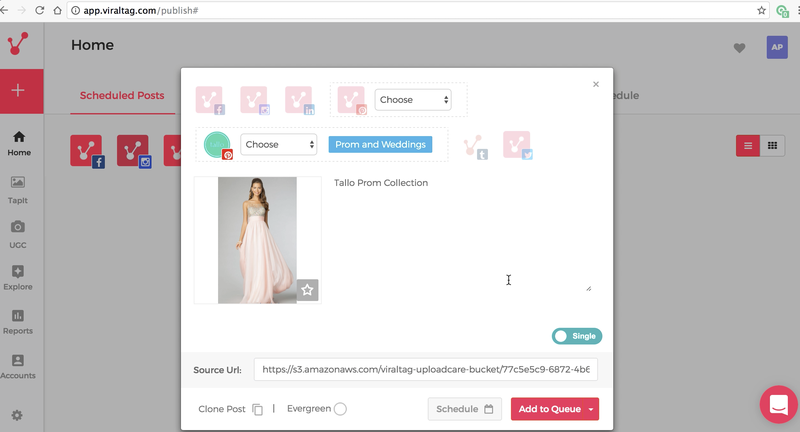 This will open a window with options of sources of photos to upload. Click on the Flickr icon on the left of the window. 3. You will be prompted to connect your Flickr account. 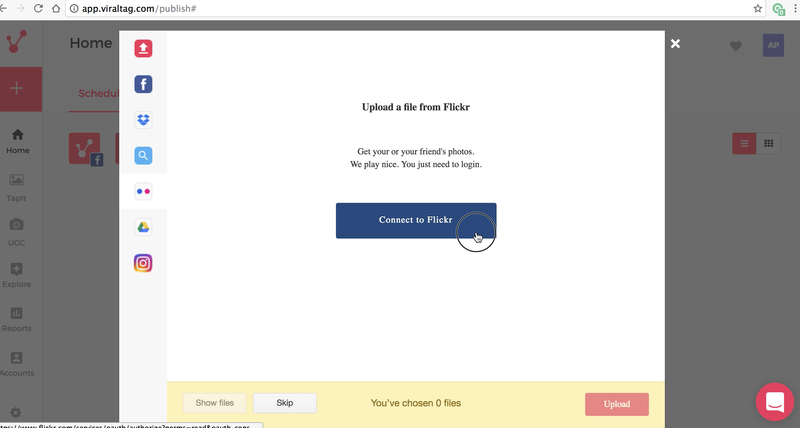 Click on "Connect to Flickr". 4. 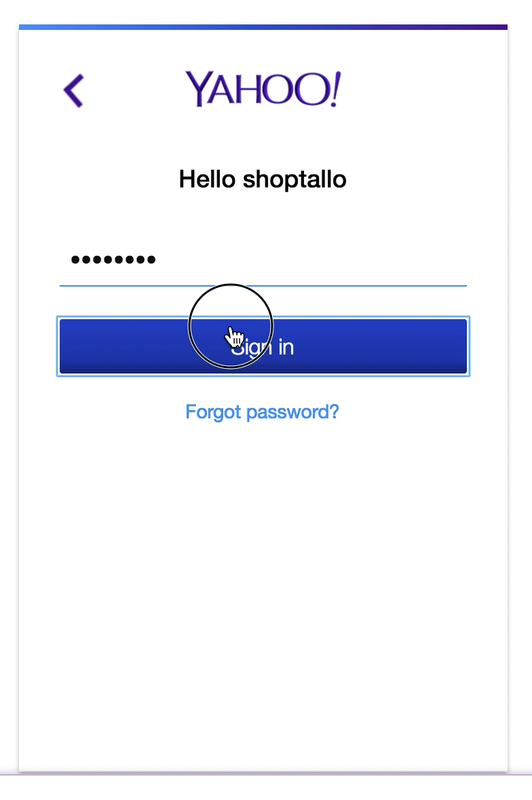 A new tab/window will open asking for Yahoo login credentials. 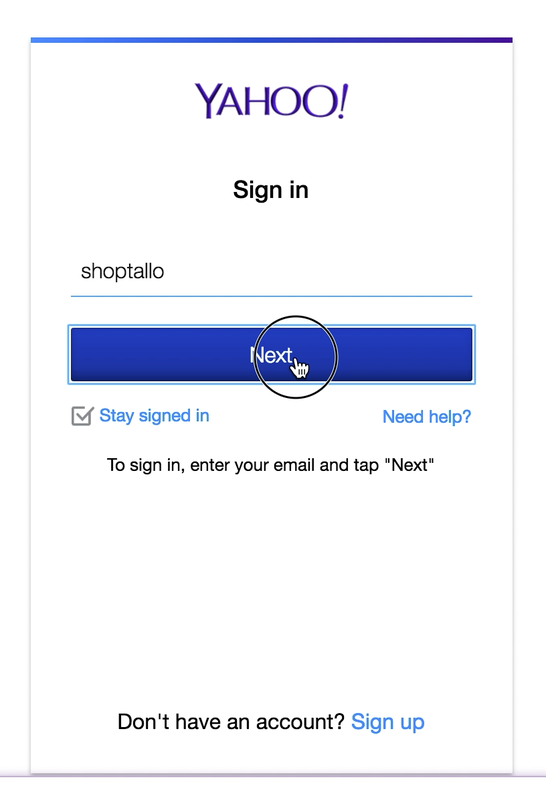 Enter the Yahoo id and password and click on "Sign in". 5. 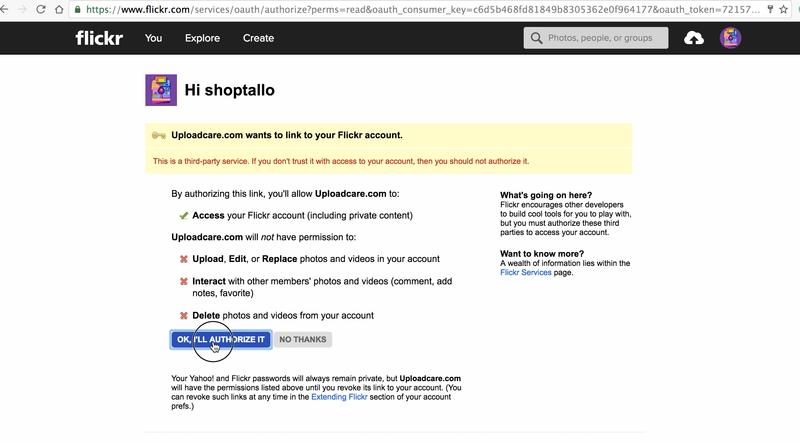 You will be directed to an authorization screen to allow Viraltag to link to your Flickr account. If you would like to proceed, click on "OK, I'll Authorize it". 6. You will now be redirected back to the Viraltag page and will be able to see all the photos on your Flickr account. You can now choose images from your photostream, albums, favorites or photos of people you are following. 7. 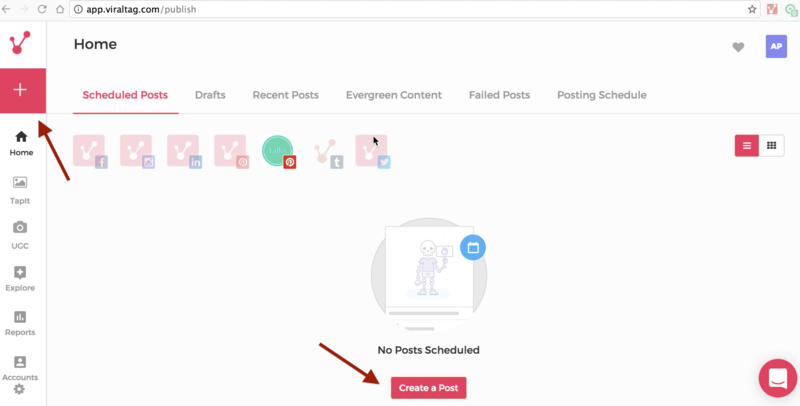 You can now schedule an image as you normally would, and come back here to find schedule photos your Flickr account at any time. If you would like more details on how to proceed from here, click here.